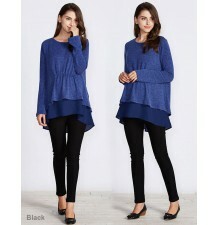 Leggings have become an essential garment in the wardrobe of every woman, as they are convenient and highly fashionable. 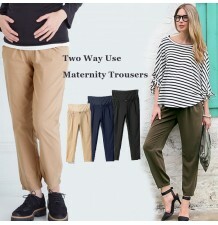 Beautifully soft and stretchy, these black maternity leggings are must have in everyday wardrobe. The soft and stretchy fabric made with bamboo is truly comfortable. 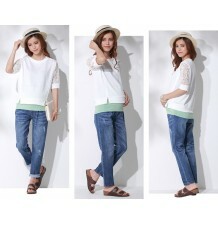 So versatile with dress and skirt in cool weather or air-conditioned room, you'll want to stock up. 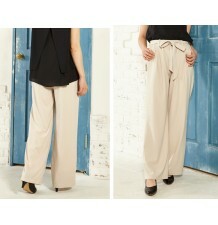 These fit close to the body in the hip and thigh and pair stylishly with dresses and tunics. Wear them over tunics or mini skirts. Composition: rayon(bamboo) 95% + elastan 5%. Available in black color, one size fits all, 7/8 length, detail sizes are shown in the enclosed table.